It has been an exciting few weeks for Fox, Finch & Tepper. In case you’ve somehow missed the memo, this autumn we’ve added two more fantastic novels to our portfolio: the hilarious off-beat New York novel “Tepper Isn’t Going Out” by Calvin Trillin and the whimsical narrative of a boy’s childhood in rural Germany “The Story of Mr Sommer” by Patrick Süskind and with illustrations from Sempé. 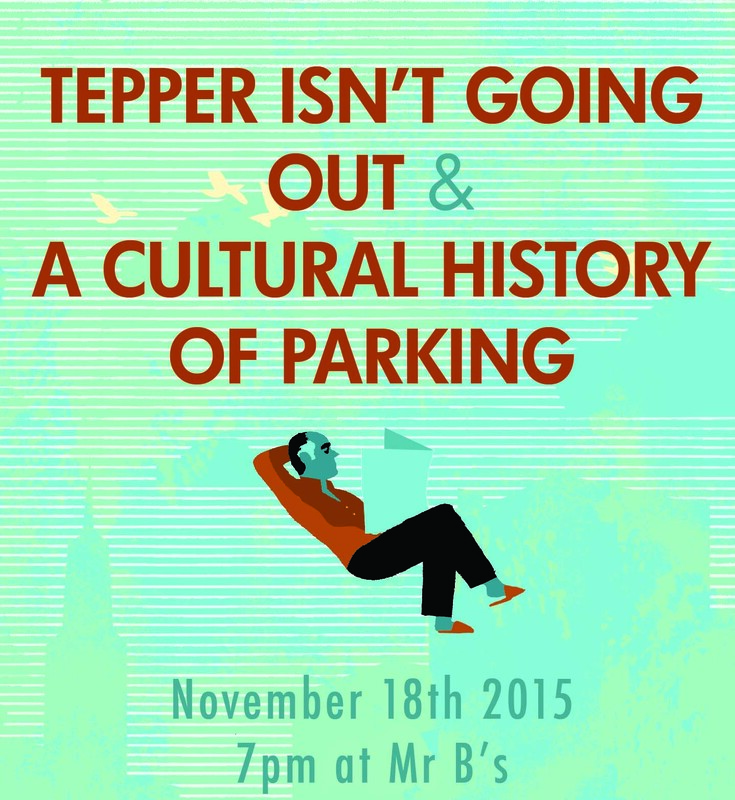 Join us as we immerse you in the world of “Tepper Isn’t Going Out” through our completely unapologetic, geeky tour of our fourth publication and the cultural history of parking! 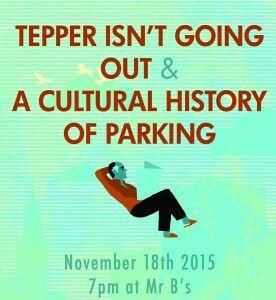 We’ll sup prosecco, chat transatlantically with Calvin Trillin about all things Tepper and then show you some of the great moments in parking that we’ve uncovered from our entirely inexhaustive trawl of car park and curbside antics in music, tv and film. You’ll even have a chance to test out your own parking skills with cars raided from the toy baskets of our children (no prosecco for the designated drivers!) and tell us about your own favourite parking stories. Tickets are £5 and include New York nibbles, prosecco and 15% off all books on the night. Full details of the event can be found here and tickets can be purchased here, or by calling Mr B’s on 01225 331155, or emailing us at books@mrbsemporium.com. Join us and be transported to Germany with our boy narrator, his crush Carolina Kückelmann, his terrifying piano teacher Miss Funkel and the ever-elusive Mr Sommer. 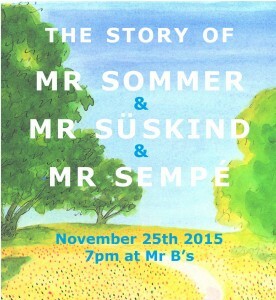 We’ll also be exploring some of Mr Süskind’s other writing – from his bestselling novel “Perfume” to his short play “Double Bass” – as well as the artwork of the wonderful Mr Sempé. There will also be a tour of hilarious Süskind moments and Sempé artwork by the Mr B’s team and a crash course piano lesson with Ben from our Bookshop Band. Finally we’ll ask you to share tales of your most-feared schoolteachers and tell you about ours. 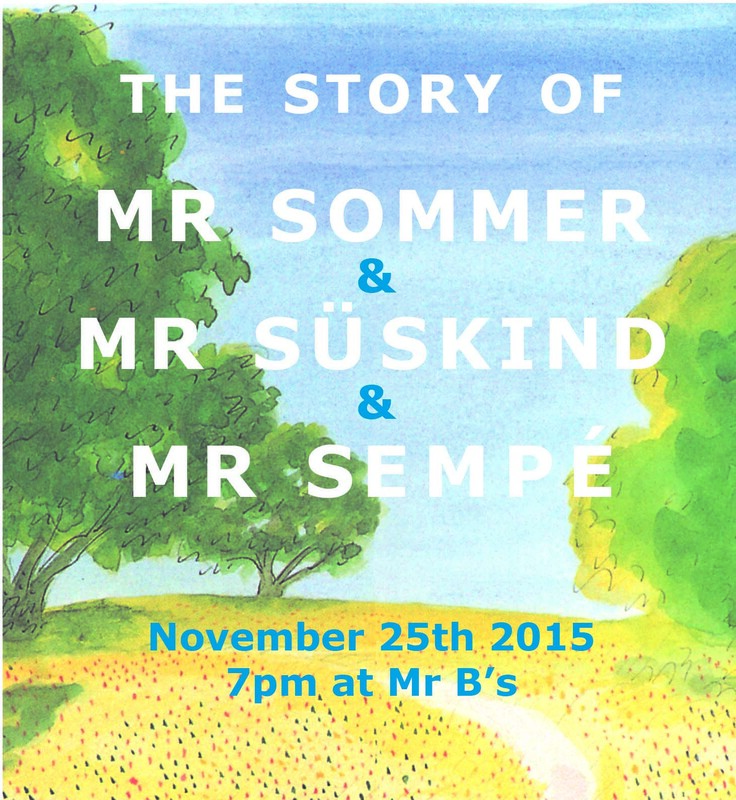 Tickets are £5 and include German Christmassy biscuits, prosecco and 15% off all books on the night.